All of the topics that Proverbs 1:29-30 covers are important, but this one hits a little closer to home. 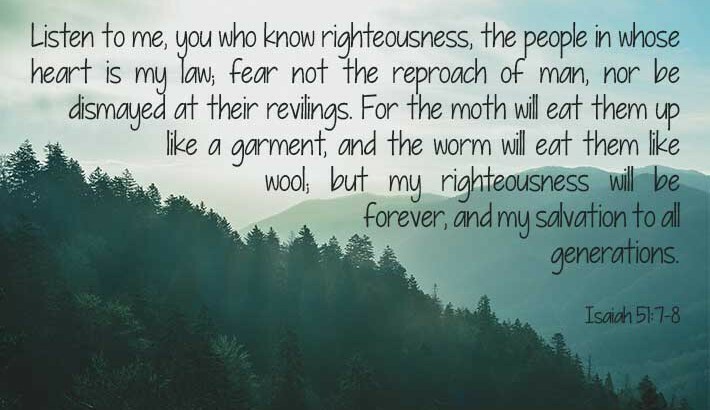 While I can desire knowledge and keep the fear of the Lord in my heart and celebrate the salvation of Jesus, it is much harder for me not to despise reproof. Correction in all forms is hard to take as pride is constantly at war in my heart and mind. Even when it’s the Lord, it’s difficult to take it until I remember His love and embrace humility. The warning in this verse is stronger than just struggling to accept reproof. The word used is despised. The idea is that it is disrespectful of the things that the Lord is bringing up. Synonyms for this word include: detest, hate, loathe, abhor, deplore. Every one of these words is a strong description of dislike. It’s beyond just a preference; it’s a passion to avoid correction. The root of this is in all of us and it can be summed up in one word: pride. Pride makes us feel that we are good enough and that we are the ones who have achieved things to this point. When the foolish people that Proverbs 1 is talking about face the ugly truth that they aren’t as good as they thought and that what they do have is gifted and powered by God, they hate it and run away and despise it. Humility is the idea of knowing who you are. It’s not about being less than what you are or more than that. We think that by putting ourselves down we’re being humble, but it’s not true. Humility means acknowledging everything about who we are and giving credit to the source. Humility means being open to seeing ourselves as God sees us and being able to accept who God made us to be. Pride, while being the biggest block, isn’t the only thing holding us back. The second biggest block that keeps us from operating in humility is shame. Pride blocks it because it blinds us to seeing ourselves as God see us. Shame blocks it because we don’t feel we can accept or are good enough to accept who God made us to be. Foolish people sit in their pride and shame and try to cover themselves with it. They justify their shame and they tout their pride. They have pulled both close as if it’s a protecting blanket. Then, they fight passionately to keep shame and pride covering them as much as possible. We need to be aware of these tendencies and acknowledge when we’re letting pride shout at others or shame hide us. Letting ourselves be seen as we are, even if it’s just by us and God is a terrifying experience. Most of us have a negative talk track in our mind that reminds us of how we aren’t good enough or where we’ve failed. Stepping out against the negative talk takes a great deal of courage and a high level of trust in the person who sees you. Trusting God is the best way to build up humility in our lives. It must be the deep kind of trust that comes from living life together, each day growing more and more. Shallow trust may make us feel like we can go to church and sing worship songs. Shallow trust makes us feel like we can pray over our food, when we remember. Shallow trust won’t get us free of the burdens of shame and pride that keep us from humility. Humility is what we need, though, to be able to accept correction from the Lord. Humility lets us see ourselves and still believe that God can use us. Proverbs 1:31 tells us the end of the foolish ones who hate knowledge, refuse to fear the Lord, reject His counsel, and despise His correction. It’s the worst possible outcome. Those who live this way are left to live out the consequences of their choices. The very traits that are developed by these selfish perspectives are their undoing. The end of all sin is death. The only question is how much damage can be done as we crash and burn, to ourselves and to others around us. Instead, choose the way of life that leads to peace and life in the Lord. Choose obedience by loving knowledge, fearing the Lord, accepting and believing His counsel and respecting His correction. We can live powerfully when we live humbly and obediently. Jesus uttered these words while looking over the city of Jerusalem while He was here on earth. In this one sentence, we can see how God’s forgiveness applies, not just to the city of Jerusalem, but to all of us. The first things that Jesus brings up here is their rebellion and sin. He points out their sin and acknowledges their issues. Then what? He yells at them? Asks them, “How could you have done this after all the things I’ve done for you?” No! The very next thing is his heartbroken words about how much He wants to be with them. He would have gathered them close, and sheltered them under his loving, protecting wing. The people were not willing, but God was ready to run after them, love them and forgive them. 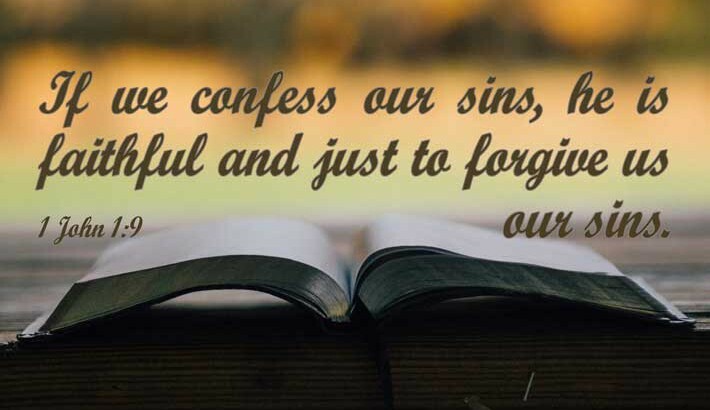 So often when we are thinking of our own sins and issues, we think that God needs to correct us or change us or demand more from us before he forgives us, but it’s just not true. God sees all our issues, more clearly even than we do. He isn’t a clueless parent who doesn’t know what we’re doing on the weekends with our friends. He can see the visible sins and the invisible ones. He knows everything about us. And it’s in this moment, the one where He’s looking into the darkest, nastiest corner of our hearts that He is longing with His whole self to forgive us. All He wants in that moment is for us to turn to Him and raise our arms to Him like a little child wanting to be gathered up. We are the ones who need to choose to be willing to be forgiven. God is always willing; we are the ones whose pride and insecurities and selfishness get in the way of the work He wants to do in our heart. God loves us. Not just in a theoretical sense or in a disconnected sense or out of a sense of obligation. He’s in love with you. He finds joy in being in your presence, just like we find joy in being in the presence of those we love. He wants to be with you and be close to you. In addition to all this, He also knows how much more content and full of joy we’ll be when we accept His forgiveness and walk closely with Him. God will work on our issues once we’re safe in His arms. 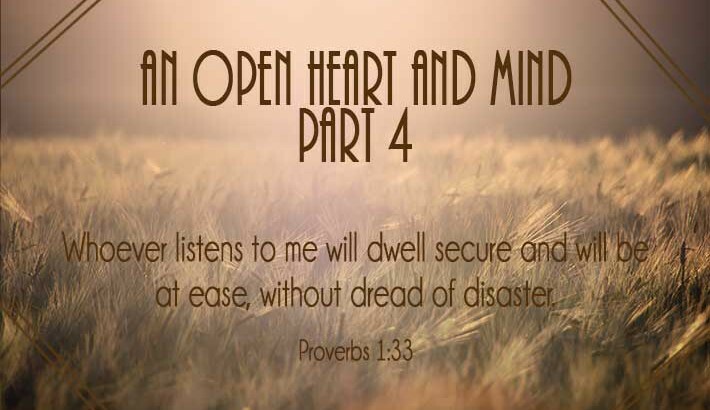 He will talk to us about the changes that we need to make to become more helpful to others around us. All those things will be taken care of when we submit to walking with Him. But first, before all that, we must be willing to be forgiven and jump in to the loving arms of our father. 2 Corinthians offers us a wonderful hope for the future. Not only our future, but the future of the whole world. This passage steps us through the hope of the resurrection of Christ and the responsibility that we have once we’ve accepted Christ’s message. If we claim to be a Christian, we are claiming to have an understanding of what His death and resurrection mean. We are saying that we know Jesus Christ, fully God and fully man, came to this earth, lived a sin-free life, died on the cross and was raised from the dead, then He ascended off this earth to return to the Father where He waits to return to the earth again and judge us all. We are saying that we understand that we are sin filled creatures that are separated from Christ and this work He did on the cross is our only hope of coming home again. We are saying that we not only believe His words and believe in the knowledge of Him, but we also are saying that we are changed because of Him. 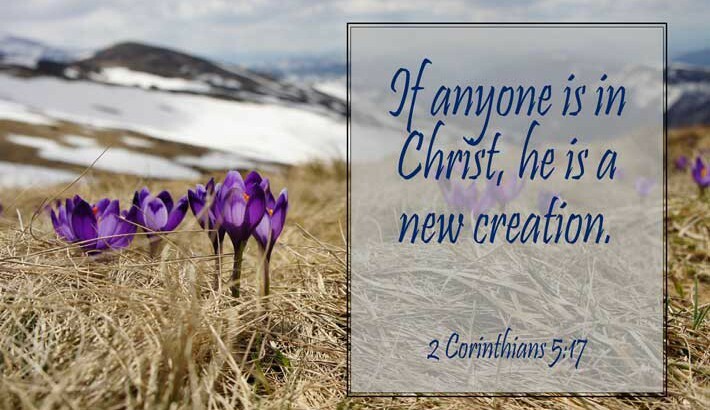 Once we have become a part of Christ, we have the hope of being new. 2 Corinthians says that the old has passed away and the new has come. They aren’t living simultaneously and we have to pick and choose between the pieces. The old is gone, completely and for good. The new is here and it is transforming us into the image of Christ (2 Corinthians 3:18). It is easy to forget this one and start to live in habits and echoes of the dead version of us. However, we aren’t bound to that life any more (Romans 6:6). We can walk away from those choice and those circumstances. We are free in Christ to live in the law of liberty (James 1:25). We are so used to taking credit for any good thing that we do, that it’s a good reminder here that God is the one who is planning all this and doing all this. We aren’t saving ourselves and nothing of what we do (our works) can save us. Only the power and grace of God. He’s done this because of who He is and how much He loves us (John 3:16). Pride and arrogance try to step in and say that it’s something we’ve done, but it never is. God, through Christ, is the author and finisher of our faith (Hebrews 12:2). Salvation is not an elite thing. There isn’t something that has to be done to earn it and there aren’t specially appointed people who will get it. God is offering this to all people the world over. He wants to be able to offer mercy to all His children that they can return home to Him. If any person, no matter their background or their past choices, learns to accept Christ and what He did on the cross, he is welcomed home by a loving and forgiving Father. The Spirit of God has revealed the truth of Christ to us and that knowledge leaves us with a certain responsibility. This message of reconciliation between a loving Father and His lost children is needing to go out to the whole world. Later in this passage, Apostle Paul says that he and his fellow ministers are “ambassadors for Christ, God making His appeal through us.” We are the mouth piece of God’s goodness. God wants us to show His strength through our weakness (2 Corinthians 12:9) and His uniting love through our relationship with Him (John 17:23). We’re discussing James in small group and part of what we talked about today included the part about God not being partial to anyone and the part of viewing ourselves through God’s perspective. It got me to thinking about God’s love for us, not just a little love, but extravagant love. Not only does He love me like that, but He loves absolutely everyone like that. It’s overwhelming to think about! It’s so wonderful to breathe in the truth of how God views us and allow that to fill us up. I need this reminder so often! So often I feel like a burden to God, even though I don’t generally express it that way. I feel bad when I mess up or I feel like I’m constantly asking for things even when I know I shouldn’t. No matter how I’m feeling, I love to have the reminder that God rejoices over me. He’s glad about me! When my mind is swirling or when I’m really worried about things, going to God with my problems and concerns always makes me feel better. He helps to take worries away and return my perspective to His greatness instead of my own problems. 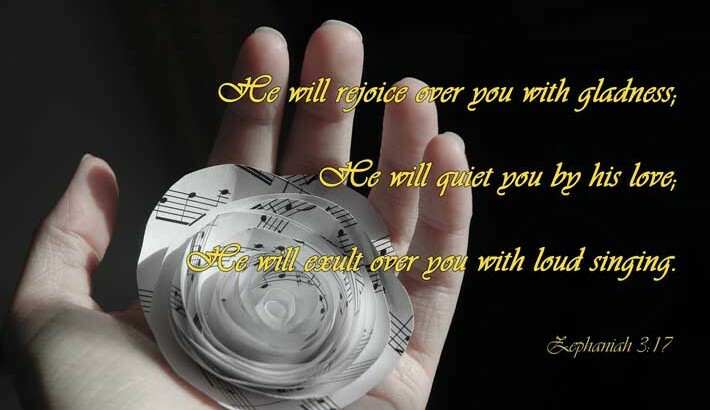 And He does all this with His love, not rebukes or disappointment, but love! I love this one! Exult isn’t a word that we often use, but Merriam-Webster defines it as: show or feel elation or jubilation. He is jubilantly singing over me. I soak this one up, because I don’t feel worthy of this for anyone to do, let alone a perfect and powerful God. But He does and He does it loudly! I love how much my heavenly Father loves me and I love that he reminds me of it because of who He is. I hope this reminder can help you remember it as well. GOD LOVES YOU!!! !